With fewer referrals, home builders have to work harder and longer to find and market to new clients. Particularly the ones we refer to as “The Forgotten”—the custom builders, the regional builders, the green builders. The ones that accounted for an impressive 46.37% market share of the U.S. home building market in 2015. But for brands wanting to win with home builders, callbacks spell opportunity. Because brand-designed contractor training programs build the skills that result in higher quality and reducing callbacks. Not to mention greater home builder brand loyalty and sales. Let’s face it: Nobody knows your product line, your competition and your construction category better than you do. Which means you’re the expert. So take advantage of it. Whether run through the distributor, the home builder or delivered directly to the contractor, training programs add value for everyone in the channel. What kind of training? Tip-based educational videos. Online classes. Jobsite training. Training “roadshows.” Even brand-owned training universities covering things like CEUs, regulatory compliance, application options and installation tips and tricks. Not sure what contractors need help with? Ask ‘em. Use your social media platforms to connect with contractors and find out what their installation pain points are. Another valuable way for brands to build skills? Manufacturer certification programs. These programs provide contractors with free training on their terms: in-field (at the jobsite or at a distributor location) or online. Once completed, contractors are manufacturer-certified, a distinction that can carry with it an extended warranty on the workmanship performed by the certified contractor. Certification means contractors have met a higher quality standard, positively impacting, and reducing callbacks, therefore creating added peace of mind for home builders. Manufacturer certification programs, in particular, do more than build skills. They build credibility and differentiation for the home builder, and that builds brand loyalty. Empowered by the internet, today’s home buyers are more educated about what makes a good home builder. Using certified subs is a recognizable differentiator for the home builder that creates credibility and instills trust in the home buyer. More knowledgeable home buyers recognize that certification can translate into preventing callbacks, better warranties, and a system approach to construction, all of which result in a better build with fewer homeowner hassles. There’s no such thing as a perfect builder, or a perfectly built house. Mistakes happen, and so do callbacks. But callbacks come at a cost for builders, eroding margins, reputation and referrals. According to GuildQuality, a website that collects and analyzes customer feedback for home improvement professionals, roughly 10% to 20% of remodeling and new-home construction projects involve callbacks. That’s a lot of risk for home builders. 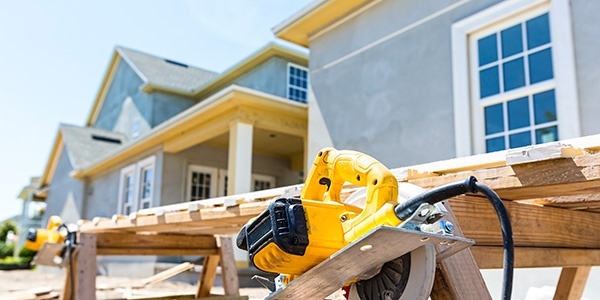 Manufacturers who provide training to raise the capabilities of contractors, create skilled certified contractors, and extend product warranties will benefit home builders, increasing builder loyalty and sales while enhancing brand.